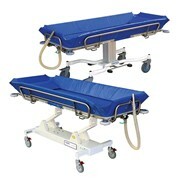 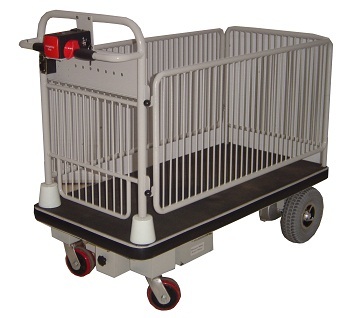 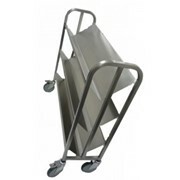 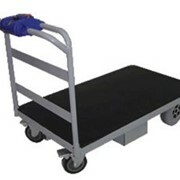 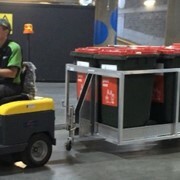 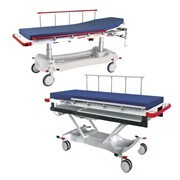 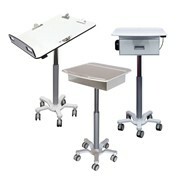 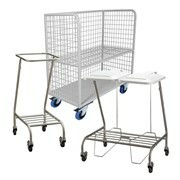 The powered Cagemate trolley offers all the features of the powered Pushmate but with a cage fitted. 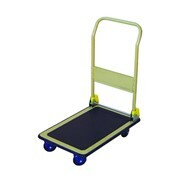 It has a 450kg capacity, complete with lift off painted cage sides ready for any task. 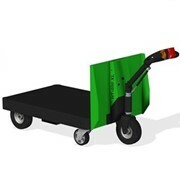 The footprint is 1275 x 630mm with an inside height of 600mm. 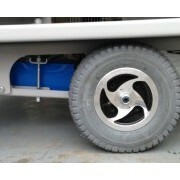 The front drive wheels are 250mm semi pneumatic and the rear steer wheels are 125mm polyurethane. 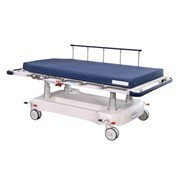 It comes complete with 2 x 12Volt/33AH batteries and on board charger. 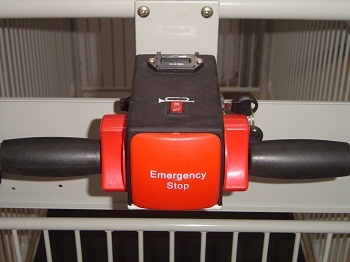 It features variable speed control, dead man switch and reversing beeper.